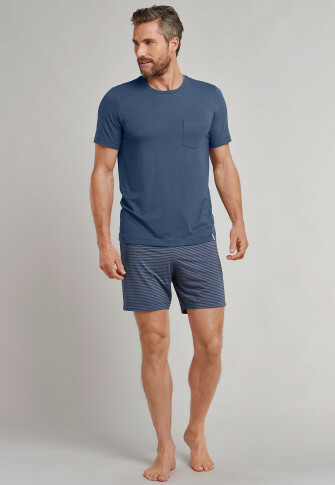 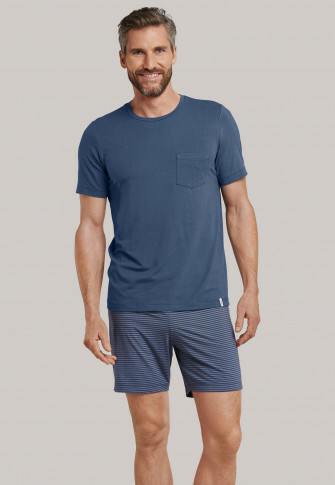 These men's short pajamas from the "Long Life Soft" line promise a particularly restful night's sleep in its innovative material. 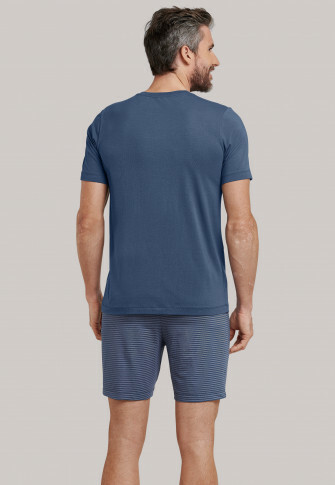 Low-pilling single jersey with a balanced micromodal portion ensures optimal moisture management and feels pleasantly soft on the skin. 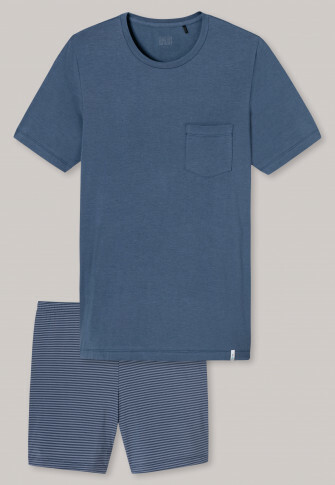 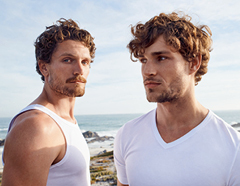 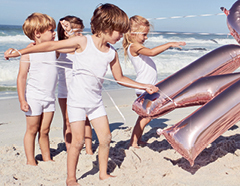 The crew neck shirt has a breast pocket and makes a two-piece set with the striped shorts into a fashionable nightwear duo - and, of course, in top SCHIESSER quality!